One of my favorite places to eat is Luka’s Taproom in Oakland. Although there is a room set up for music and dancing, I am more interested in the bar and restaurant. 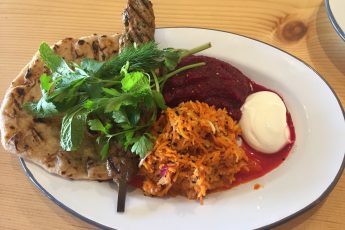 I have been eating at Luka’s for many years which includes many lunches since it is close to work. The food is always great. Their Belgian fries are addicting. Earlier last week a group of four of us were going to see a show at the historic Paramount Theater. We had pre-show dinner reservations at Luka’s which was a good thing because it was packed. The signature cocktails at Luka’s are yummy. 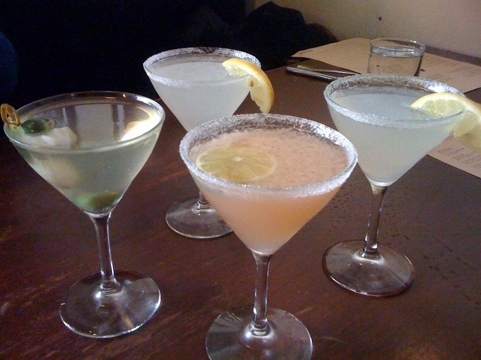 I ordered a Hemingway Daquiri, which has rum, grapefruit, and lime in a sugar rimmed glass, two of my friends had lemon drops, and one had a Merritt Martini which was described as a dirty martini with lots of stuff in it. Another delicious signature cocktail that they are famous for is the Buddha’s Hand Martini. The vodka is distilled in neighboring Alameda. We shared an order of fries to have with our drinks. I don’t think there has been a time that I’ve gone to Luka’s and not had some fries. 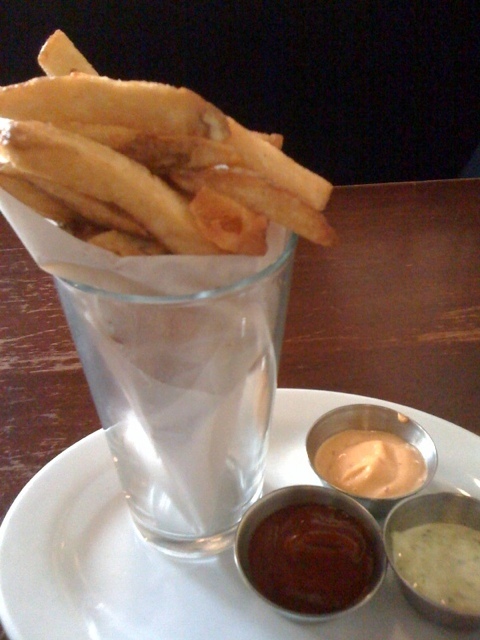 These Belgian fries are thick and crisp and come with three dipping sauces – chipotle aioli, smoked paprika ketchup, and herbed aioli. Although I have a habit of trying them all, my favorite is always the smoked paprika ketchup. One of my friends ordered two appetizers for her meal. Sometimes I like to order this way as well. 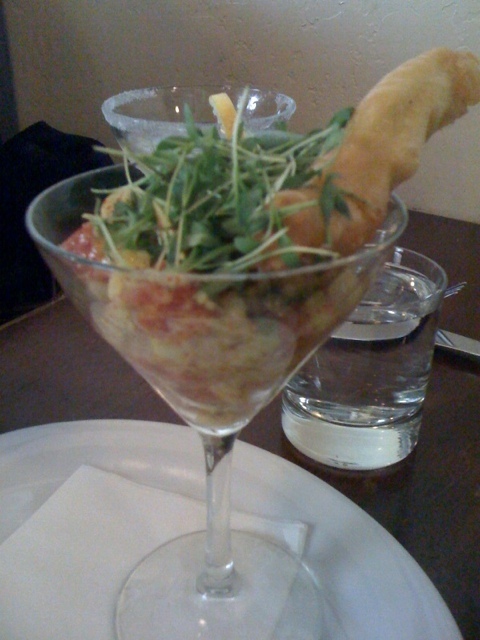 One dish was a spicy yellowfin tuna tartar. 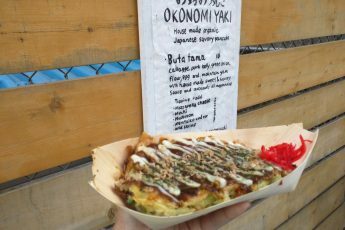 It was topped with a tempura avocado. 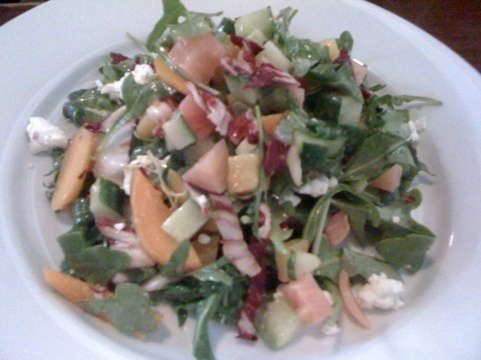 I thought the star was the second dish, a roasted beet and apricot salad which came with arugula, radicchio, cucumber, goat cheese and a lemon vinaigrette. It was a beautiful palette of colors. 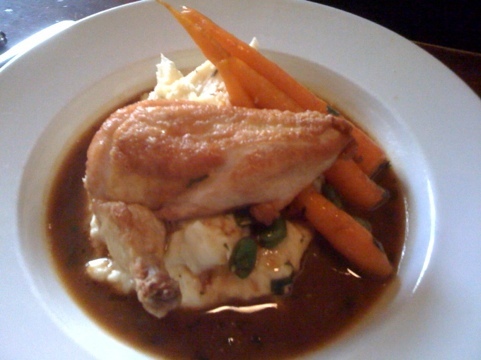 Another friend ordered the roasted chicken breast with fava beans, baby carrots, and rosemary garlic mashed potatoes. For someone who doesn’t like chicken much, she devoured it. She also said it was the best mashed potatoes she’s ever had. They were very creamy. Having checked my “Seafood Watch” app, two of us were happy to order the crispy arctic char which as far as sustainability, was a best choice. 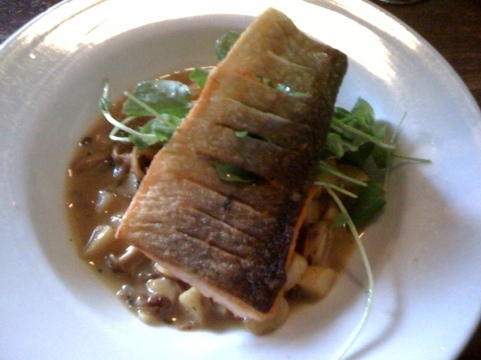 It came with beech mushrooms, roasted shallots and fingerling potatoes, with chanterelle broth and watercress salad. I enjoyed this innovative dish very much. The meal and company were a great start to our evening.